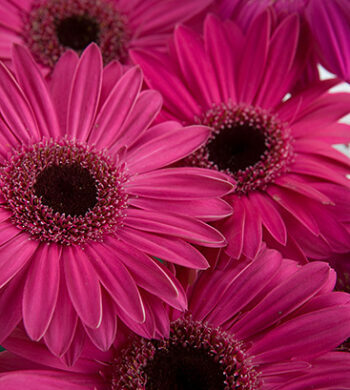 This lush garden is a premier way to show you care. 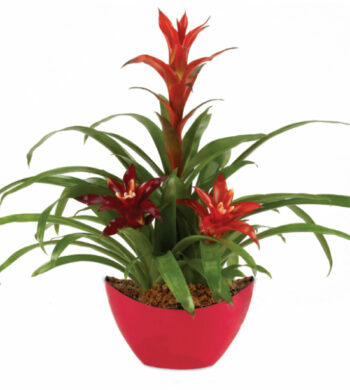 This composition includes one colorful bromeliad and two white Phalaenopsis orchids. Shipped in bud-and-bloom to ensure maximum enjoyment. 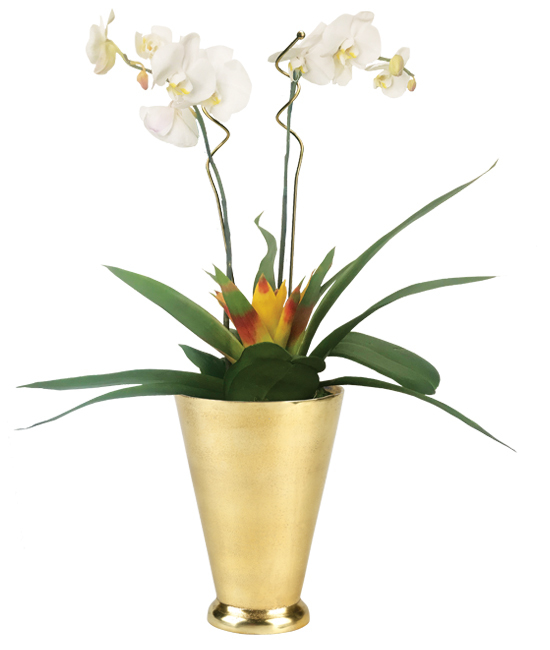 To play up the piece’s oasis-inspired elegance, we feature it here in our gold plated aluminum vase. Sure to please anyone. Place your garden where it will receive moderate light. This orchid does not like direct sunlight. It will do best with temperatures between 65 to 75 degrees. 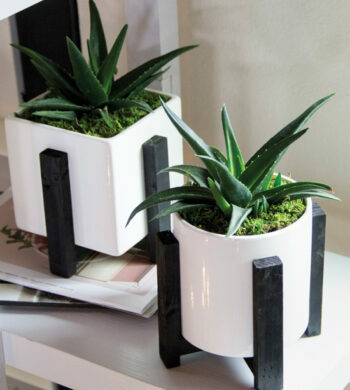 Keep plants evenly moist, the roots should never be dry. Water once or twice a week, but be sure that the roots are not soggy. These plants like humidity between 40 -50%. Misting will help increase humidity. Fertilize once a month with a balanced orchid food at ½ strength.